One Piece has gone through numerous chapters (manga) and episodes (anime) with lots of memorable moments. And currently, the story is coming to another decisive point involving the legendary Yonko. With the latest chapters (manga) and episodes (anime), the battle between Luffy and his crews and one of the Yonko – Big Mom is going to boom. Also, the appearance of another Yonko member – Kaidou will definitely bring a great change to current One Piece story. That means it is the perfect time to take a look of Yonko and see what we know about these overpower emperors so far. Alright! Let’s find out! * Note: The shared information here based on both One Piece manga and anime versions. For a long time, the mighty Yonko has always been a mystery since they only appear in rumors. However, we know that Yonko is the group of four strongest pirates in the world. 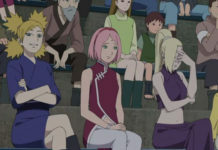 All of them have unparalleled strength, they all stay in the Grand Line but they don’t take side. Each of the Yonko follows his/her own agenda and it seems they don’t meddle in each other’s business. In the Battle of Marineford Arc, we officially see the appearance of two Yonko: Whitebeard and Shanks. Though Shanks didn’t show much of his power, Whitebeard proved to us that a single Yonko could tremendously impact the world with his/her act. 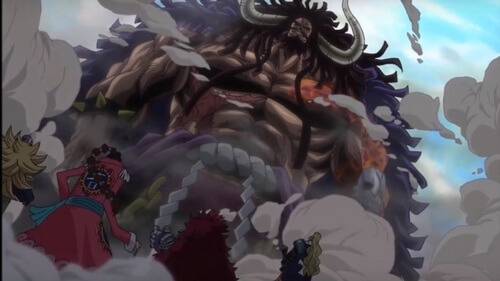 Though Whitebeard was old during the Battle of Marineford Arc, his power was still too enormous which even the Shichibukai and the Marine Admirals have to be careful when fighting him. With such monstrous power, no wonder why many pirates don’t dare to oppose them. Many others try to prove themselves to be worthy as a member of these emperors’ fleets. So now we know the background of the Yonko, let’s check out each individual and see what they’re capable of. Whitebeard is widely famous around the world as the Strongest Man in the World, and it’s absolutely true. Although he was already dead in Battle of Marineford Arc, his power and status can’t simply be ignored. Therefore, his name must still be included in this list. Whitebeard’s first appear was prior to the Battle of Marineford Arc when Shanks came to meet him in body. During this time, it seemed Whitebeard was quite old and he needed treatments (as we see the medical equipment surround him). That said; DO NOT underestimates this giant old man even if he was old. He could easily destroy the entire city or even the world if he was seriously mad. In contrast to what we normally think about pirates, what Edward Newgate valued most was family rather than money and treasures. It seemed what constantly drive him was the dream of having family. And this idea reflected from his fleet organization. All of his crews considered Whitebeard to be the Great Father and highly respected him. To gain that high respect, Whitebeard himself also expressed and truly shared deep bond with his crew members as he always considered them as his “sons”. Like in case of Ace, even though Ace tried to kill Edward Newgate many times, he still considered Ace as his son. Ace felt in great honor in joining the “old man” fleet and respected Edward Newgate as his father. This bond also reflected in the Battle of Marineford Arc when Squarb, one of Whitebeard’s sons, betrayed Edward and stabbed him. Even so, Edward Newgate still forgave him, thus making him felt deeply guilty for what he did to his father. As a great father himself, Edward Newgate cared deeply for his sons. This proved as he charged valiantly to the Marineford just to save Ace. Besides from his Devil Fruit Power, Whitebeard was already a super strong individual by himself. He possessed giant body with powerful strength which could easily surpass tons of enemies. He even seemed to be able to stop the power of Devil Fruit himself. Whitebeard was also known for his great endurance. He withstood tons of injuries and damage, but he could still survive. In the Battle of Marineford Arc, though he was old and had health problem, he could still easily unleash his power. Even at his death door, he kept standing still despite lots of wounds and damage caused to him. His strength and resolution were so great that even his enemies had to admire. Whitebeard possessed the power of Gura Gura no Mi, or Tremor-Tremor Fruit in English. This devil fruit allowed Whitebeard to unleash tremendously powerful shockwaves. These shockwaves are extremely destructive as they can cause massive tsunami and earthquake. They can also block everything, making Gura Gura no Mi the strongest fruit of Paramecia class in both attack and defense. And of course, it can even rival the power of Logia-class devil fruit. As the Strongest Man in the World, Whitebeard didn’t rely on his physical strength and devil fruit power alone. He himself possesses all three Haki types: Kenbunshoku Haki, Busoshoku Haki, and Haoshoku Haki. 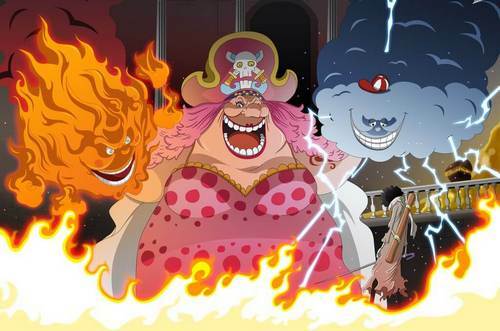 Charlotte Lin Lin, or Big Mom, is the only female among the legendary Yonko. She is the head of Charlotte Family and also the empress of Toto Island where her family (and also her pirate fleet) rules. As a powerful Yonko, she also possesses a fearsome fleet including key members being her children. She seems to have unending thirst for candies and sweets; however, DO NOT ever think of her as a lousy pirate. She may have addiction for candies and sweets, but she is not like a child. She can easily get angry and when she does, even entire country can stand a chance against her power. With the latest One Piece arc about Luffy’s encounter with Big Mom, we will get to see more about this fearsome woman. Prior to the current arc, we’ve already known about Big Mom in the Fishman Island. At that time, she was the protector of the Fishman Island; in return she would take all the candies and sweets offering. From this point, first thing we know about Big Mom is that she has an unending thirst for candies. She can even destroy entire island/nation just because they don’t offer enough candies for her. Because of her power and her fleet, no one dare to stand against her wrath. In the manga, there is a section which Big Mom expresses her wish, which is creating a paradise where people of all races can live happily with each other. Despite that “beautiful wish”, it seems her personality is not match with her wish. In the current manga event, she forced her daughter to marry Sanji as a member of Germa family in order to take over the Germa’s technology. She also had the history of discriminating her own children; in this case it was Pudding who had a third eye which considered being pretty much disgusting. She is also easy to get enraged, and when she does the situation can become extremely intense and dangerous. She has extremely high desire to control, forcing people to follow her orders. Those who get to her bad side commonly face unhappy fate. Like in case of the Fishman Island, she is their protector but still she will ready to destroy the island if they don’t offer her enough candies she wants. Just like her nickname: Big Mom, she has an enormous body with tremendous strength. She can easily smash the ground with only one slap while she’s sleeping. It is also said that her body skin is extremely formidable, which can even stop cannonball. However, she seems to lose that formidable protection if she falls into a great panic. 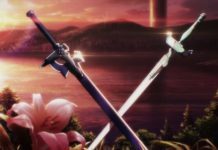 For example, in the current manga event her knee was easily bled when she fell down due to the broken picture of Mother Carmel. Big Mom possesses the power of Soru Soru no Mi (possibly translated as Soul-Soul Fruit), a Paramecia-type Devil Fruit which specializes in soul matter. She can extract the soul matter from a person for her own, resulting in reducing that person’s lifespan. Those who have his soul extracted can be dead if too much soul matter taken from him. As overpower as it may sound, it seems this power has one flaw: Big Mom cannot extract the soul from those who aren’t fear of her. (Like in case of Jinbel who confronted Big Mom directly but she couldn’t extract his soul). Besides extracting soul matter, she can also manifest soul entities from the stolen souls. 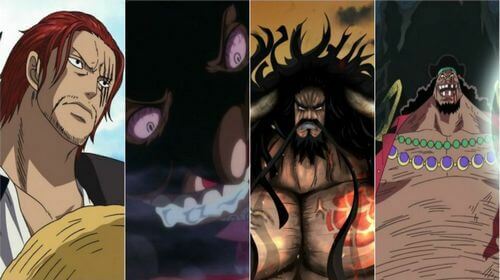 These manifested beings are a part of Big Mom and they can possess powerful ability, for example: Prometheus, a fiery sun and Zeus, a storm could. These entities often called by Big Mom as “Homies”. So far we only see she uses Haoshoku Haki to intimidate a man for questioning Mother Carmel during the wedding of Sanji and Pudding. When we call a person as a “beast”, it means that person is ridiculously strong. And among Yonko, there is a “beast” which often referred as the Strongest Creature of the world: Kaido the Hundred-Beast. Not much we’ve known about him so far, but base on the current information we can sure that Kaido is truly an overpowered pirate. 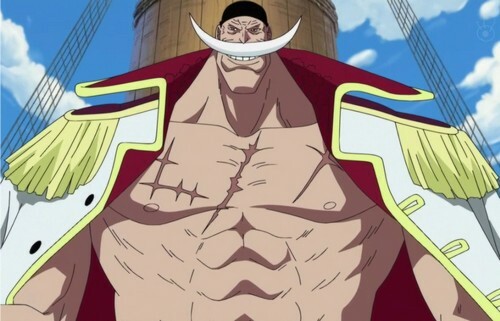 Like other Yonko, he commands a great fleet comprises of Zoan-type fruit users. Currently his fleet is occupying the Country of Wano. 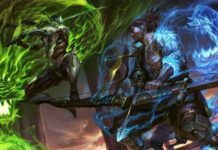 Kaido is portrayed as a true warrior and somewhat like a berserker type. Since Kaido possesses an enormous strength and an immortal body, he always recklessly jumps into battle. He seems to seek exciting enjoyment for his life; he always readies to fight with strong enemies like Whitebeard. 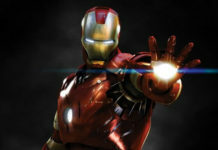 With his merciless and powerful status, no one dare to defy him and pretty much everyone fears him. Even the infamous Doflamingo was greatly afraid of him when he was called due to their unfinished business. With such a powerful status, no wonder why he thinks highly of himself. He doesn’t acknowledge the potential threat of the Straw Hat and Heart Pirates. Even when Luffy defeated Doflamingo, a notorious Shichibukai, that feat didn’t pique Kaido’s interest. His clashes against Shanks, who is also a powerful Yonko feared by many. With these feats alone, we know that Kaido is tremendously powerful. We also know in more details that he possesses an immortal body. So far, nothing can kill him, as it is recorded that he was once tortured and executed many times. However, despite all that efforts, he is still alive like nothing could have harmed him. This immortality aspect is also partly why Kaido develops a habit of suicide. 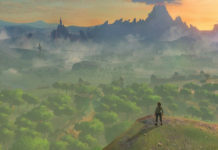 He has tried to killed himself many times, for example recently he jumped down from 10.000 meters above the sea surface. 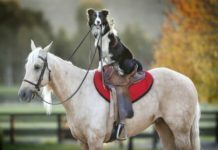 But after the jump, he still stood normally with just a slight headache. After Whitebeard’s death, it is supposed that someone must replace his Yonko position. And now we know that the new Yonko member is Blackbeard. Marshall D. Teach was once a member of Whitebeard fleet, however, he killed the commander of Whitebeard’s 4th division – Thatch and took Yami Yami no Mi (Dark-Dark Fruit). Due to this action, Ace chased Blackbeard down and they had a clash. The result was not directly seen but seems Blackbeard won. Later on, we saw Blackbeard being one of the Shichibukai but for just a short while. 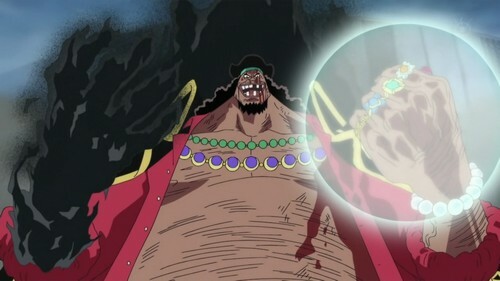 After the death of Whitebeard, he absorbed Whitebeard’s Gura Gura no Mi power, becoming the very first person who can wield 2 Devil Fruit powers at the same time. Unlike many pirates who have recklessness trait, Blackbeard is a deceiving figure who doesn’t openly reveal about himself. On the outside, he looks like a care-free man who likes to joke and fools around. Yet in fact, he is the man with great desire, notably his desire for power. It is probably due to this thirst for power that he readied to betray the Whitebeard’s fleet and steal Yami Yami no Mi. As a man with the “Will of D”, Blackbeard has a strong belief in the man’s dreams and fate. When Luffy and his friends tried to find a way to get to the Sky Island, most of pirates considered it to be a stupid idea. But Blackbeard himself encouraged that passion, despite his willing to kill Luffy later on. Since Blackbeard possesses two powerful Devil Fruits, he believes he is the strongest and he thrives to become the dominator of the world. 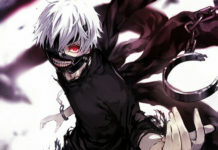 That said, he still remains as a calm individual, secretly acts to fulfill his goal. Blackbeard possesses an impressive endurance which helps him lasts long during a fight. This powerful endurance is also highlighted when Blackbeard fights with other enemies using his Darkness power. Since Yami Yami no Mi amplifies the damage taken by the owner, Blackbeard has to suffer more damage than usual. However, he still manages to survive and even win the battle like in case of his fight with Fire-fist Ace. Blackbeard is also a notorious schemers and he will utilize all of his resources to achieve his goal. One example is when he captured Luffy, at first it seemed he handed Luffy to the Marines in order to gain a ticket in the Shichibukai rank. But then it was revealed that his true motive was to get to the Level Six of Impel Down prison, and recruited the most notorious criminals for his crew. As dangerous as he is, Blackbeard also has great weakness which is his sarcasm tendency in a fight. In various battles, Blackbeard likes to mock his opponent, leading him to dangerous situations. Blackbeard is the first pirate to be able to wield two Devil Fruit powers: Yami Yami no Mi and Gura Gura no Mi. Yami Yami no Mi provides Blackbeard the power of Darkness – an endless void which pulls everything into it. It is like a black hole with extreme gravity energy and nothing can escape its grasp. In his fight with Ace, Darkness power proved to be able to absorb Ace’s fire and release it. According to what happened to Whitebeard, it seems this Darkness power can also absorb the essence of a person’s Devil Fruit power as well. In overall, Yami Yami no Mi is indeed among the most powerful Devil Fruits to date. However, it also amplifies the damage taken by the owner, in this case is Blackbeard. Gura Gura no Mi, as we mentioned earlier, is the power of Tremor which previously owned by Whitebeard. By possessing two of the most powerful Devil Fruits, Blackbeard’s power can absolutely rival other Yonko. Though we haven’t seen Blackbeard uses Haki before, it is clear that Blackbeard knows the power of Haki as he talked a lot about it, especially during the Impel Down as he applauded Luffy for being stronger. So far, it’s unsure what kind of Haki type he can use. Shanks, or Red-hair Shanks, is the very first pirate we saw in the beginning of One Piece (not counting the execution of the Pirate King). He is a close friend of Luffy and at the first glance he and his crew are like care-free guys who like to enjoy freedom and fun. He casually let some weak bandits “bully” him in a bar without fighting back. But later on, we know that he is truly a strong pirate who saved Luffy from death door. Since then he has become a great inspiration for Luffy. As the story progress, it is revealed that Shanks is not an ordinary pirate, he is one of the Yonko. More importantly, he is among the strongest people in the world without using the power of Devil Fruit. Red-hair Shanks is portrayed as a pirate of honor who values freedom, adventure, and more importantly his friends above all. He readies to save his friends no matter how dire the situation, just like how he rescued Luffy with the cost of his arm. Right in the first chapter, we can see Shanks as a selfless man; he can easily let go things which he considered as trivial. He didn’t fight with the bandits in the first chapter, but he got serious when the bandits bully Luffy and villagers. Being a funny and carefree guy on the outside, it’s quite easy to mistake him for a weakling. However, he’s a true Yonko and of course his title is not for sale. Though we haven’t seen Shanks in a serious battle before, it is safe to assume that he’s a man with tremendous power. He doesn’t possess any Devil Fruit power and yet, he can stand against Kaidou and prevent Kaidou from attacking Whitebeard. He is also not afraid of Whitebeard, but both Whitebeard and Shanks seemed to maintain a friendly term with each other. Furthermore, the World Leaders Gorosei also agrees that Shanks is capable of defeating Blackbeard. By the end of the Battle of Marineford Arc, both Blackbeard and Akainu didn’t prevent Shanks from rescuing Luffy. 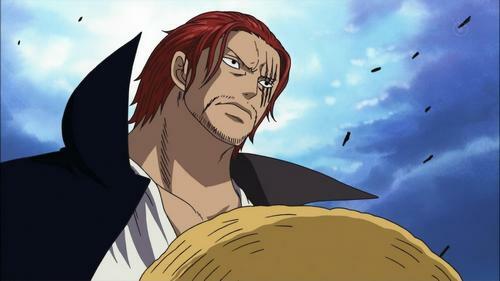 Shanks himself is also a master swordsmanship who can rival the strongest swordman Mihawk. Even though Shanks lost his right arm, he himself and his sword is still a force to reckon with. From what we’ve seen so far, Shanks can use two Haki types: Busoshoku Haki and Haoshoku Haki. Shanks’s Busoshoku Haki is tremendously powerful. This is proved with his between clash and Whitebeard; both powers were too great that they tear the sky. He can also easily block the magma from Akainu’s assault. Shanks’s Haoshoku Haki is also extremely powerful. During his meeting with Whitebeard, his appearance alone makes tons of Whitebeard’s crew members fall down unconsciously. Furthermore, Oda said that Shanks’s Haoshoku Haki can knock down 100.000 pirates and fishmen in Fishman Island Arc, while Luffy can knock down 50.000 at that time. And that’s it folk! That is the roster of the five strongest pirates of all seas, the legendary Yonko! 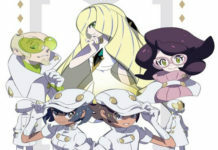 For meanwhile, stay tune for more news in the future!